If you employ at least one person and don’t have employers’ liability insurance you are breaking the law. As an employer, you must have this insurance to protect your salon and barbershop employees. What is employers’ liability insurance for? • You must have employers’ liability insurance (sometimes called ‘EL insurance’). • Your policy must cover you for at least £5 million. • £2,500 for each day you do not have EL insurance. • £1,000 if you do not display your EL insurance certificate (this can be displayed electronically as long as all your staff have easy access to it). The law says that employers must provide a safe working environment. If one of your employees comes to harm in the course of their work, you must provide financial compensation. EL insurance should cover your legal and compensation bills if an employee at your hair/beauty salon or barbershop is injured or becomes ill as a result of the work they do for you. What does EL insurance not cover? • Deliberate acts or omissions that lead to an employee’s injury or illness. • Fines or penalties received under corporate manslaughter or health and safety at work laws. This is to ensure there is a deterrent to help prevent avoidable injury in the workplace, for example, injury caused by negligence. It goes without saying that you don’t want your employees to suffer harm as a result of working for you. Always follow health & safety best practice. 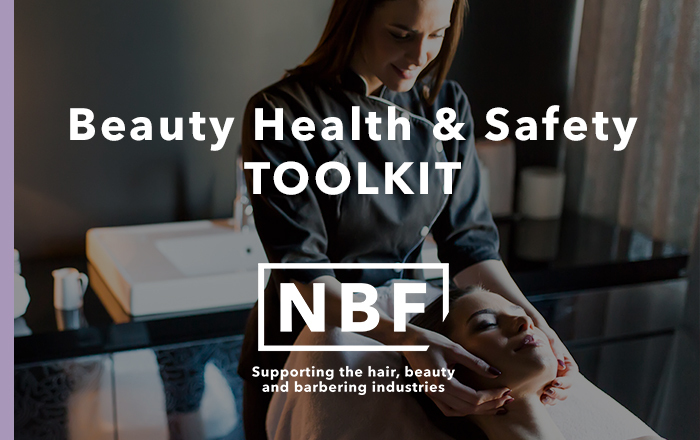 Find out more about health & safety in your salon or barbershop. • 20% discount for NHF Members and NBF Members (terms apply: coversure.co.uk/nhf/terms). • Instant quotations with immediate cover. • Flexible patch testing requirements. • Buy online 24/7 at coversure.co.uk/nhf. • It’s the law: all employers must have Employers’ Liability (EL) insurance. • In most cases, EL Insurance won’t cover situations where the employer is judged to be at fault. • Reduce the risk of claims – follow health and safety best practice. • Get 20% off your insurance. (NHF/NBF Members only. Terms apply: coversure.co.uk/nhf/terms). *Find out if your insurer is authorised. • Savings and discounts on business essentials – including insurance.